The landscape architecture program welcomed alumni and emeriti professors to the landscape architecture program’s 50th anniversary celebration: Catalyst for Excellence on November 7-8. Two days of events celebrated the program’s history, alumni, faculty and students. Dr. Robert P. Ealy, known widely as ‘Doc’, formed the Department of Landscape Architecture in 1964, assembling a remarkable group of faculty who educated some of the first landscape architects in the country. The first students went on to create award winning designs. Those pioneers were followed by another generation of passionate faculty and students who continue to shape the landscape architecture field today. 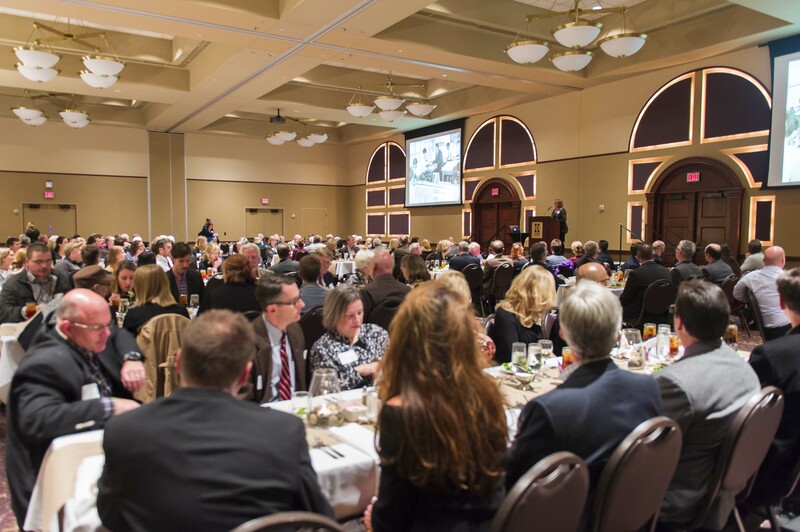 The 50th anniversary events celebrated Doc’s legacy and our alumni’s successes. Alumni from 34 of the 50 years of K-State landscape architecture gathered for the 50th anniversary celebration. 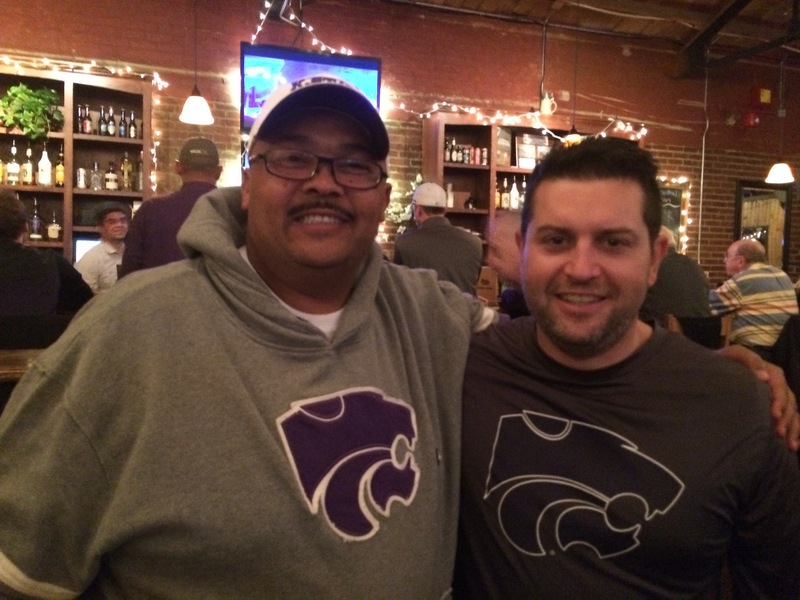 They traveled from as far away as Shanghai, China (Ben Noyes, ’07) and from across the United States. 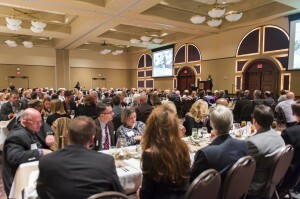 The weekend kicked off with a dinner and LArt art auction at the K-State Alumni Center. The LArt auction offered pieces from alumni and friends. Rick Forsyth (former faculty member), Dennis Law (MLA ’76), Dennis Reynolds (MLA ’86) and Melissa Dehner (LARCP friend), created paintings while guests watched and bid on their work. A live auction following dinner generated excitement and then the silent auction came to a fast and furious end as everyone submitted their final bids. All proceeds raised through the auction will be given to a fund for professional development and academic support for LARCP students. The celebration continued on Saturday with Landscapades, an annual event and primary fundraiser organized by the K-State Student Chapter of the American Society of Landscape Architects. 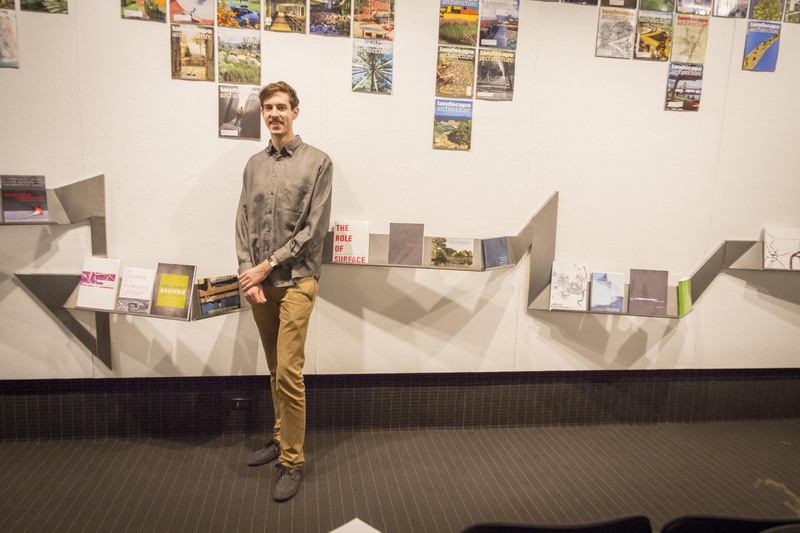 The event featured an exhibit of 50 years of landscape architecture student work, student pecha kuchas and tours of landscape architecture on-campus projects, such as the Meadow and green roofs. An exhibit of 50 years of lan dscape architecture capstone projects, was designed and built in the Chang Gallery by 4th year student Wesley Moore. Student work from across the decades lined the first floor of the east wing of Seaton Hall. The weekend concluded with an Aggieville watch party for the K-State vs. TCU football game. More pictures from the 50th celebration can be found here. We are compiling an alumni registry e-book that showcases the breadth of our alumni’s work that will be available for download on the LARCP website. Each alum is invited to participate by creating a page telling the story of your life and career since graduation. There is no cost to participate. To participate, please utilize an 8.5” x 9” area of an 8.5”x11” portrait oriented page. The content of this page is completely up to you and there are no margin restrictions. Please save as a pdf and send to la50celebration@ksu.edu. Your email should include your name, current location, degree and graduation year. We will add this information to each page for consistency. Professional offices are invited to sponsor the K-State Landscape Architecture Register. Sponsorship ads ranging from full pages to business card dimensions are available. All sponsorships will go towards professional development and academic support for our students. Contact Courtney Boman at la50celebration@ksu.edu for details. Faculty and students published a book, Catalyst for Excellence: 50 Years of Landscape Architecture at Kansas State University. It is filled with history and information about the program. Contact Courtney Boman, LARCP Project Coordinator, at (785) 532-2866 or la50celebration@ksu.edu if you would like to purchase a book. Join landscape architecture alumni and friends, listed here, who have donated to the Catalyst for Excellence fund. Click here to make a donation to the fund, E01427. All funds raised during the 50th celebratory year will go directly to our students’ professional and academic development.